High quality baby bed skirt dust ruffle for crib for baby bedding-Wuxi Tianxiu Textile Co., Ltd.
HIGH QUILITY - Made of 100% breathable combed cotton. Naturally cool and comfortable for baby’s delicate skin. Hypoallergenic, free of harmful chemicals, complies with CPSIA testing standards. Fits Perfect on all standard cribs size 28” x 52” and most toddler beds. Finished with 4 split corners for easy placement around crib posts, makes changing and washing stress free. 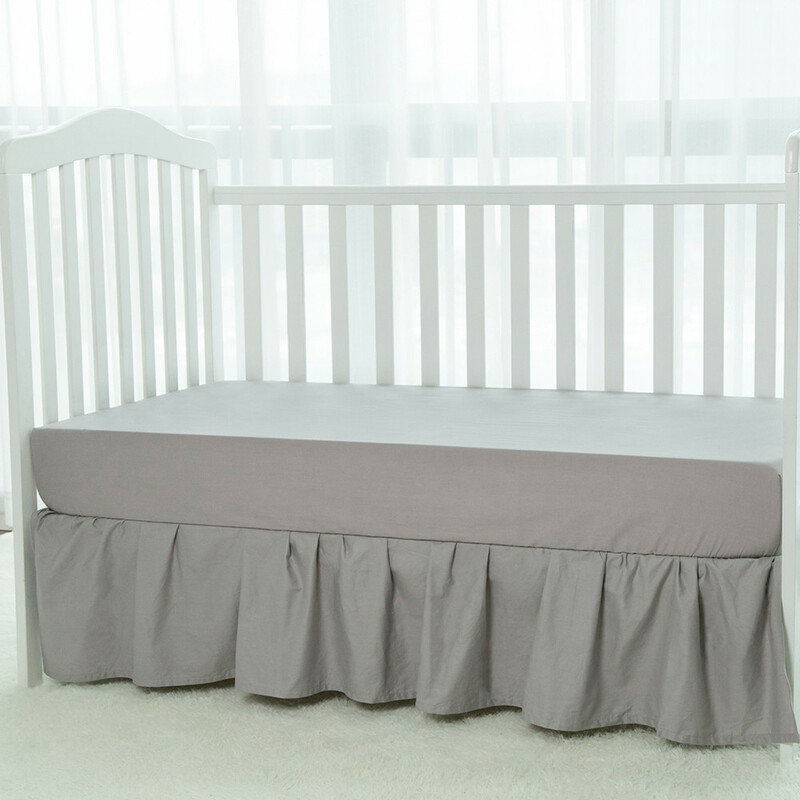 Stylish Design our classic, elegant crib skirt will match perfectly with your nursery. The 14” length is long enough to discreetly hide storage under the crib. Easy care –Machine wash cold with like colors. Tumble dry low heat. We has generations of experienced employees worldwide. We create and source only the best high quality safe and easy to use products for you and your family.